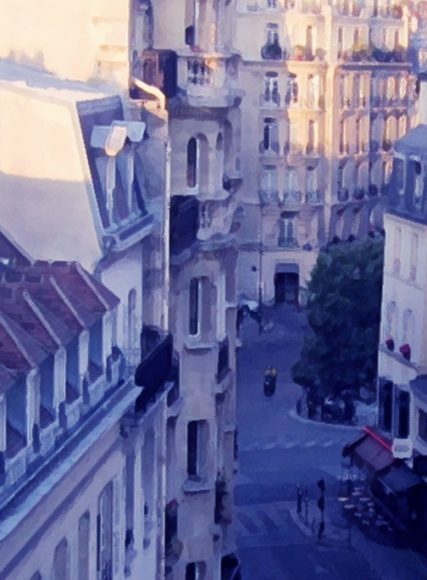 Artist Leif Trygg, of Oak Leaf Studio, is showing new images from his original series of manipulated digital photographs, Paris Blue. Featured images include shots of Parisian neighborhoods early in the morning and cafes at twilight. These pictures are available as framed and unframed prints suitable for display and beautiful notecards. Oak Leaf Studio is located at 247 Oak Street between Hanson Howard and Ashland Art Works.